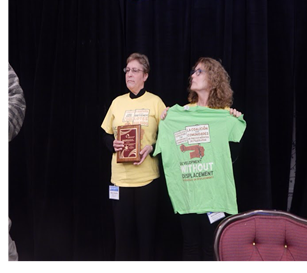 WASHINGTON, D.C.- The National Low Income Housing Coalition, a nonprofit research and advocacy organization, presented their annual Media, State and Local Organizing, and Resident Organizing awards yesterday as part of their 2015 Housing Legislative Forum. NLIHC’s Annual Housing Media Award is presented annually to journalists who make a special contribution to highlighting housing inequities of the lowest income people in America. The 2015 award was presented to journalists Mikel Livingston and Steven Porter for their series, “The Great Chicago Migration Myth,” published in the Lafayette Journal & Courier during October and November 2014. 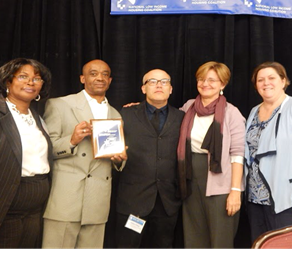 NLIHC awards a State and Local Organizing Award for outstanding housing advocacy efforts at the state or local level. The Campaign to Take Back Vacant Land of Philadelphia, PA received this year’s State and Local Organizing Award for its success in creating the nation’s largest municipal land bank. Signed into law by Mayor Michael Nutter in January of 2014, the newly created Philadelphia Land Bank will take control of more than 40,000 abandoned properties throughout the city. The Land Bank will allocate abandoned properties to organizations and developers to produce affordable housing, urban agriculture projects, and neighborhood economic development. The Campaign to Take Back Vacant Land is a broad coalition of 47 community organizations led by the Women’s Community Revitalization Project, Liberty Resources, and Disabled in Action. The campaign worked to ensure that the new Philadelphia Land Bank legislation contained provisions for accountability through community representation on the Land Bank’s board and for transparency through public access to all Land Bank transfers of land. 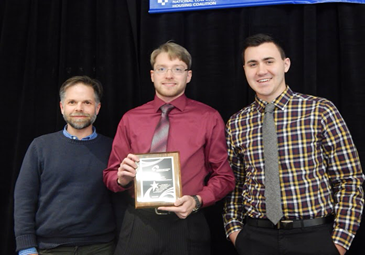 Finally, each year NLIHC recognizes exceptional organizing by local residents through its Resident Organizing Award. This year’s Resident Organizing award went to Community Housing Partnership (CHP) of San Francisco, CA for successful organizing efforts in support of the Fair Chance Ordinance, a new law preventing discrimination against ex-offenders on applications for employment or affordable housing. CHP’s campaign efforts involved three staff organizers working with and on behalf of more than 50 formerly incarcerated residents of CHP properties. CHP’s Community Organizing and Resident Engagement (CORE) Program mobilizes the active, ongoing, and issues-informed participation of their 1,300 low income tenants on policies that affect low income people throughout San Francisco. Congratulations to all of the NLIHC 2015 Honorees.